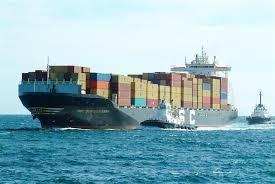 AsemconnectVietnam - The report provided a comprehensive picture about the country’s imports and exports last year. It was the third report to be published. Nguyen Tien Quang, director of the Viet Nam Chamber of Commerce and Industry’s branch in Da Nang, said that the report provided accurate and transparent information for businesses and management agencies with updated import and export policies to support businesses, reduce risks and enable them to grab market opportunities. Pham Bac Binh, chairman of Da Nang City Association of Small and Medium-sized Enterprises, said that updated, accurate market information was critical to businesses in the context of the fast-changing Industry 4.0. According to Tran Thanh Hai, deputy director of the ministry’s Import – Export Department, Viet Nam’s import-export value totalled US$243.48 billion in 2018, representing a rise of 13.2 per cent over the previous year. Viet Nam had 29 products with export value over $1 billion.